What a moving portrayal of bullying in high school and the possible horrendous outcome. I was impressed how this was written to make your sympathies rise for the shooter and antagonism towards his victims. There are no winners in this book and anyone who is a parent reading the novel will inevitably find it painful and at times, terrifying. My only fault is the slightly unexpected and not too convincing ending. 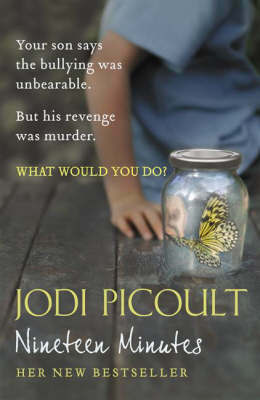 But this has to be one of my favorite (if not my very favorite) Jodie Picoult novel thus far.